Relax and Recharge in St. John's. 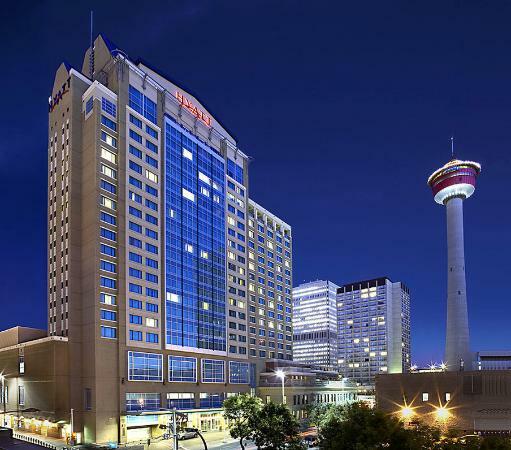 Delta Hotels St. John's Conference Centre offers a welcome reprieve from everyday life. 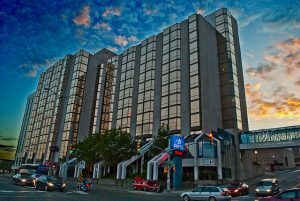 The waterfront hotel is steps from some of St. John's hottest destinations, including Mile One Centre, George Street, and Cape Spear Lighthouse. The rooms are recently renovated and furnished with pillowtop mattresses, mini-refrigerators, flat-panel TVs and free Wi-Fi. Upgrade to a Club Level room for a premium experience and gain access to our private lounge with complimentary breakfast and hors d'oeuvres. They sport cardio equipment and free weights in our fitness center so you can get in a workout before swimming a few laps in our indoor pool. With over 22,000 square feet of event space, and 22 rooms to choose from, our venue is one of the most enticing in all of Newfoundland. The variety of rooms allows for everything from intimate brainstorming sessions to renowned conferences. Whatever your reasons for visiting Newfoundland, allow Delta Hotels St. John's Conference Centre to make your stay worth while.